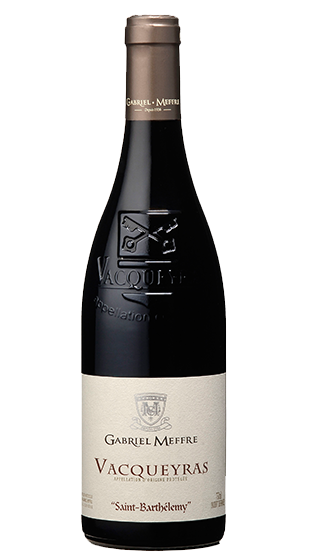 Tasting Note: This Vacqueyras is mainly made from Grenache and Syrah grapes. The soil is composed of alluvial deposits and stony terraces, found in the villages of Vacqueyras and Sarrians where vineyard and garrigue exist as one. Brilliant colour with purple highlights. Spicy nose with red fruits and violets aromas. Elegant and silky palate with fruity notes and elegant tannins. A subtle spicy finish.